On the day that son-in-law-in-chief Jared Kushner was born, January 10, 1981, expansive Jupiter @10Lib04 conjoined restrictive Saturn (9Lib43). His Jupiter-Saturn conjunction (0A20 at noon) is a strong indicator in a natal horoscope but of what? 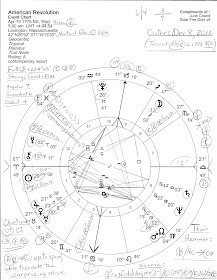 Without an accurate birth time our Jupiter profile must be somewhat out of focus but let's proceed since, as I type, Mr. Kushner is behind closed doors having a chat with politicians whose integrity, I say sorrowfully, is not a given in most cases. Witch hunt, Whitewash, all around the town! For brief details on why we're looking at astrological Jupiter in relation to Washington DC's current crop of infesting creatures see this. And here's a video of Jared Kushner delivering a quite brief statement after today's testimony. Now it is my surmise that a Jupiter-Saturn conjunction denotes the need to temper whatever traits and inclinations natal Jupiter may have in its sign--here, Jupiter relates to others through Venus-ruled Libra, the sign of Justice ("that's not fair!" --same sign as Mr. Trump's natal Jupiter), diplomacy, relationships, values, perspectives, art, good looks, and elegance. And one interesting factor of interest is that Kushner's chart is shaped like a BOWL with the planets following Saturn who tips said BOWL. However, without a birth time we cannot discern the hemispheric focus (he's somehow lacking in the signs opposite the BOWL) but perhaps the BOWL tips toward Career and Public Status unless what appears to be a very private individual (who speaks rarely in public--shy? or sly?) is more about home and family than career ambitions. Hmm. As for Kushner's natal Jupiter, via conjunction it takes part in the leadership function or tipping of the BOWL and considering how close the conjunction, I would have to credit Jupiter as a focus here, leading the rest along with cautious Saturn although Saturn is slightly dominant. 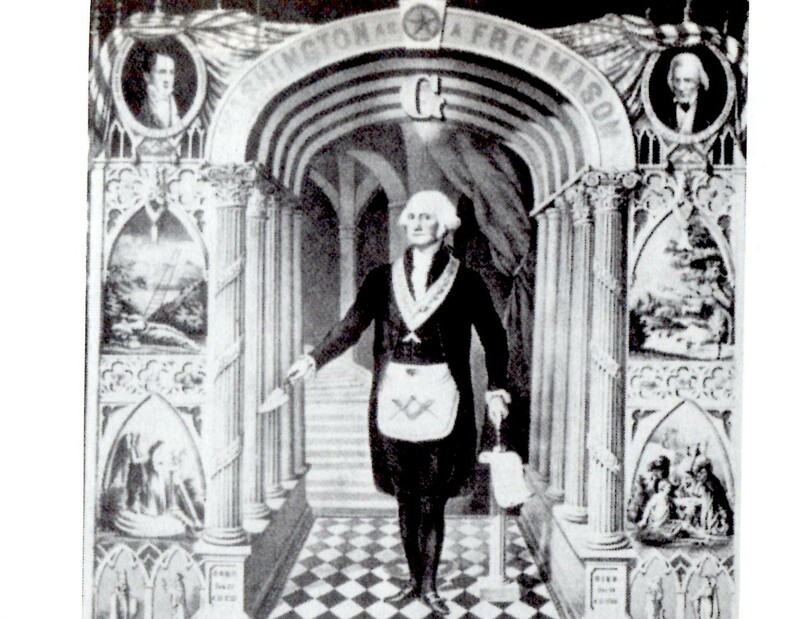 Advocacy of a cause or having a mission to fulfill are suggested, and "his orientation to the world arises from division." (Jones, The Guide to Horoscope Interpretation). Well, that echoes his Jupiter-Saturn conjunction in Libra so it seems his relationships are affected on a deep level by this restriction-vs-expansion team of planets. 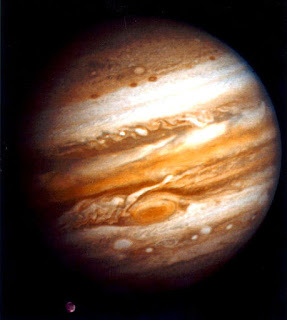 Jared Kushner's serious minded Jupiter-Saturn conjunction (one of two aspects of Jupiter to other planets and there's than a nice sextile to North Node) indicates a retentive memory (not a talent he's touting today! ), fortitude and stamina, and a need to assert himself in the world (opening his mouth and sharing is a good start). A reader of informative books, Kushner is actually quite good at helping others solve their problems thanks to Jupiter-Saturn allowing him a measure of hope blended with realism. This is supported by the themes of his Prenatal Solar Eclipse series, the 19 North with its vibes of realism, tackling the truth, and seeing old situations for what they really are. You remember that a 19 North Solar Eclipse last and very recently manifested @9Virgo on September 1, 2016 and is, in fact, the PE of Election 2016 and Inauguration 2017. Inconveniently, transit Neptune directly opposed the eclipse degree adding elements of fakery, corruption, fanaticism, bait-and-switch methods, paranoia, deceitful political spin, propaganda, and scandals to the realism so badly needed in our society. Do you think that this strong 19N eclipse influence remains in effect with the Trump administration's ongoing Russia Gate scandal/s? Then I agree with you. The second aspect to Kushner's natal Jupiter is a trine from energetic Mars @8AQ28 (1A36, at noon) which suggests expanded ambitions, idealism, a liking for travel, and the possibility of a positive home life. This is a 'lucky' aspect and may provide its owner with success gained with only a minimum of effort. Of course, due to his blended Jupiter-Saturn duo, Mars also trines Saturn which suggests that he does not intend to waste his time (as he said about the June 2016 meeting with Trump Jr and the Russians--he left the meeting once he realized it was a waste of his time--no dirt on Hillary). With the Mars-Saturn trine, efficiently directing all energies toward productive enterprises is all important in similar fashion to Mars exalted in Saturn-ruled Capricorn. With a Mars-Saturn trine (and natal Saturn direct), we see that Mr. Kushner has no trouble getting along with senior people in charge, and his judgment is valued by those who rely on him for advice and encouragement. Now that surely must be a description of his in-legal-jeopardy father-in-law and it will be interesting to see results from Jared Kushner's testimony today and how much side-scuttling he must do in order to protect Donald Trump and his White House misadventure that they all must careen through for Trump's sake while everything is at America's expense. Note that another description of a Jupiter-Saturn conjunction can be codified religion (Jupiter) meets orthodox Jewish religion (Saturn).